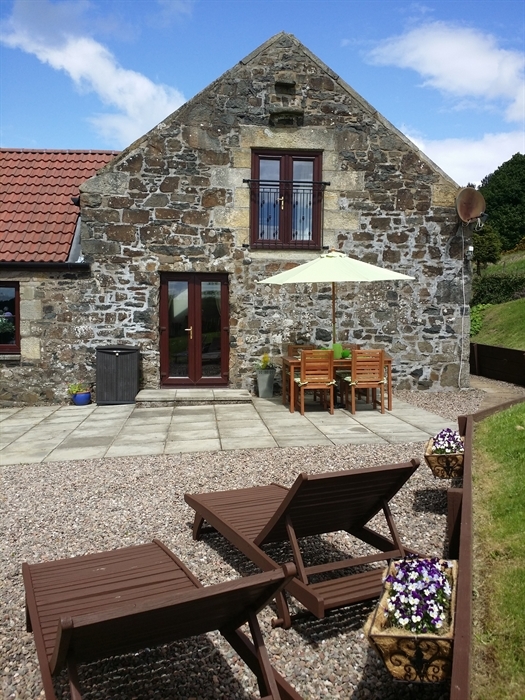 Set in an enviable hilltop location with panoramic views close to Ceres and just 7 miles from St. Andrews the home of golf, Windrush Holiday Cottage offers a truly spacious luxury 4****self catering sleeping 5 with all modern conveniences. 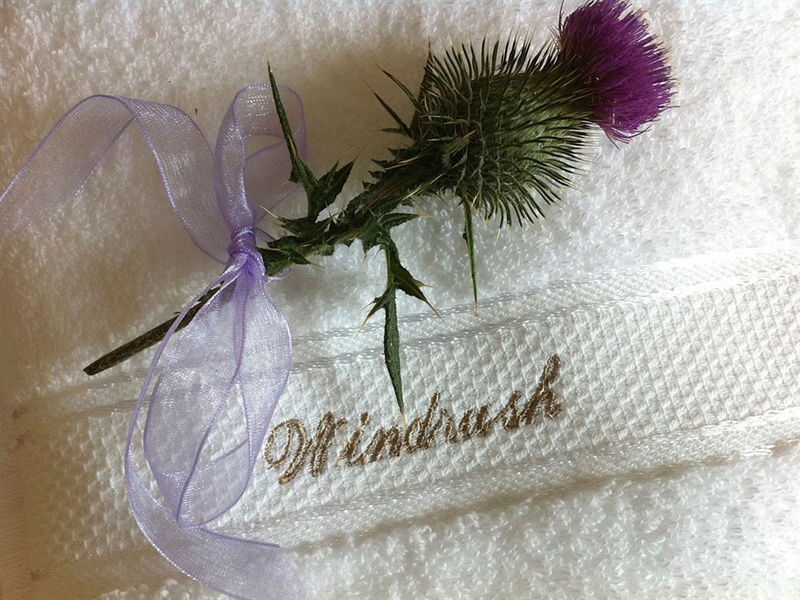 A perfect tranquil retreat from the hub of city life both families and couples will relish their time spent at Windrush knowing they have the best of both worlds with a great central base close to many towns and cities in this beautiful part of Scotland. 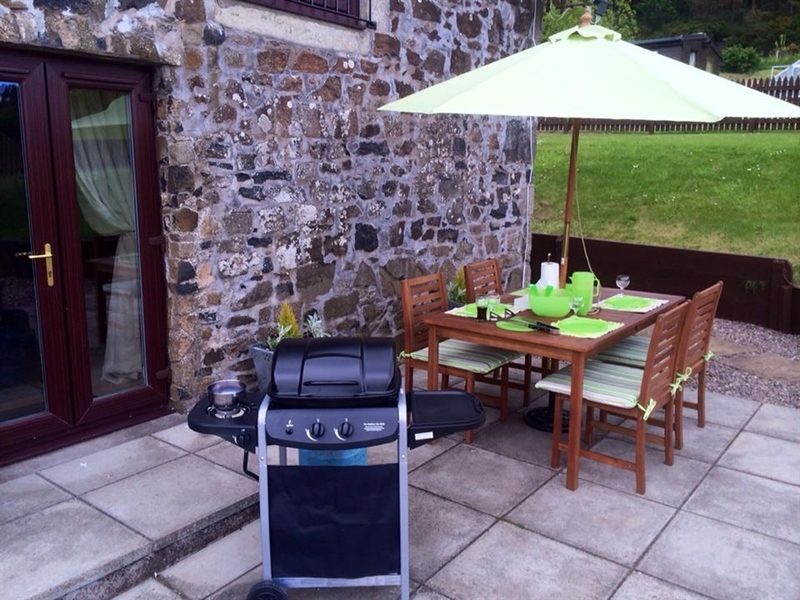 Newly launched for summer 2015 there should be availability to suit most. 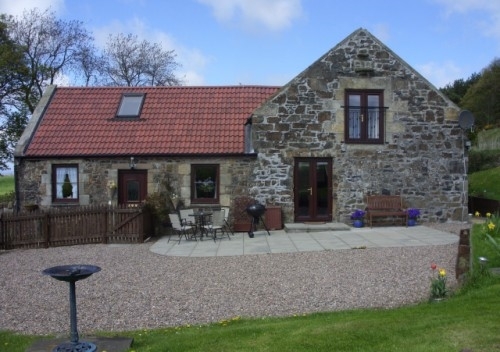 Windrush Holiday Cottage dates from 1880 originating as a farm steading grain store barn. 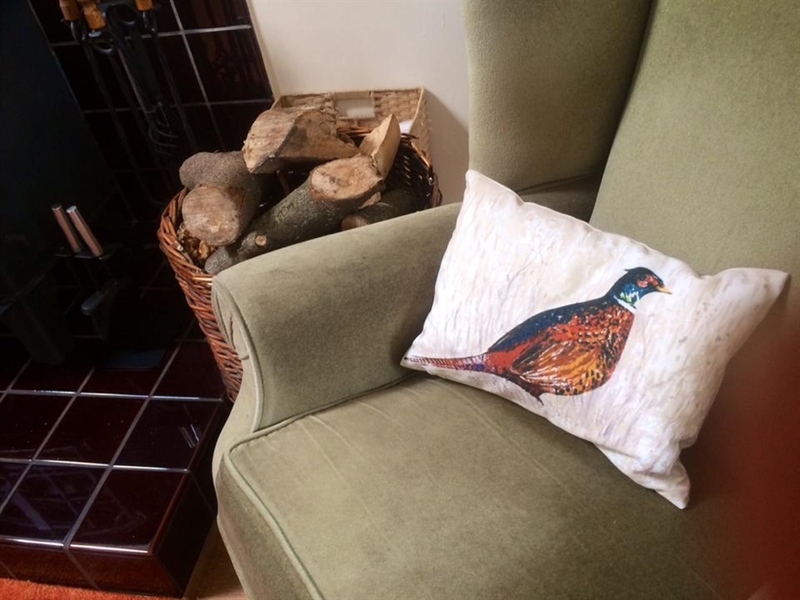 Tradionally stone built with pan-tiled roof exterior whilst inside the style is somewhat modern whilst maintaining a sense of the countryside tradtions and comfort for our guests. 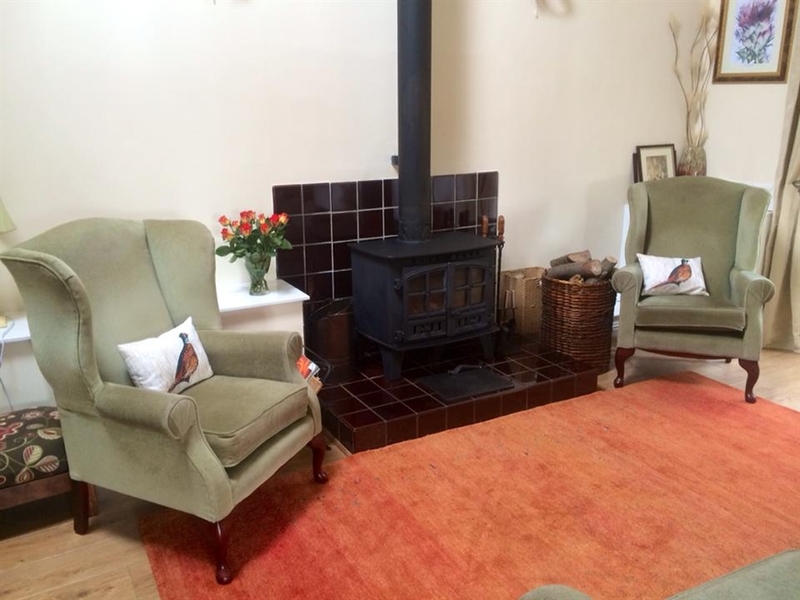 The spacious cottage is self contained with a private garden and parking area with no neighbouring onlookers apart from the 4 legged variety in the fields. 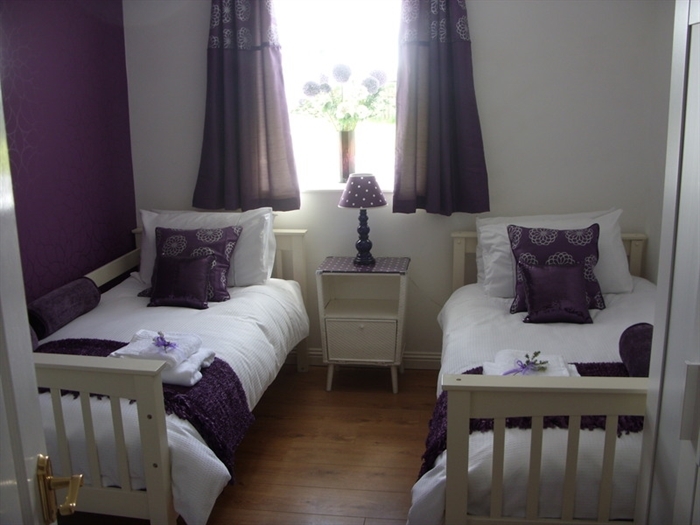 Comfortably sleeps 5 plus a baby with flexible arrangements to suit groups or families. 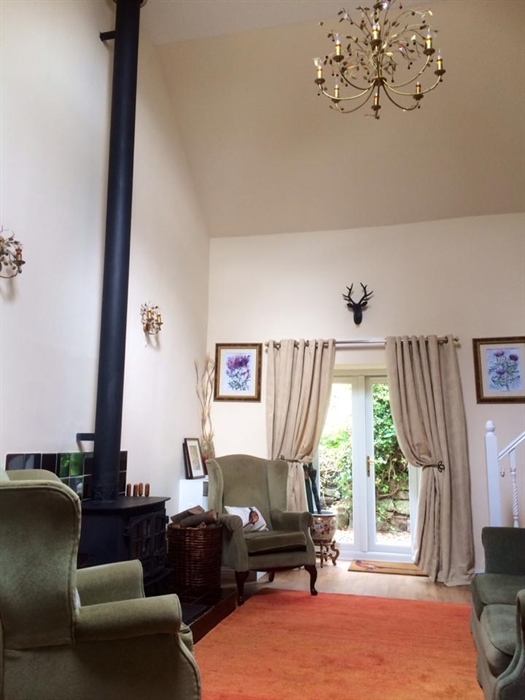 Extra large living room which splits neatly into two areas ....the double height open ceiling of the left area has a large woodburner stove ideal for cosy evenings snuggling in enjoying a wee dram in wintertime . 3 piece sofa and a double sofa bed . French doors lead out to the rear garden area with clothes drying area and log and coal bunker. 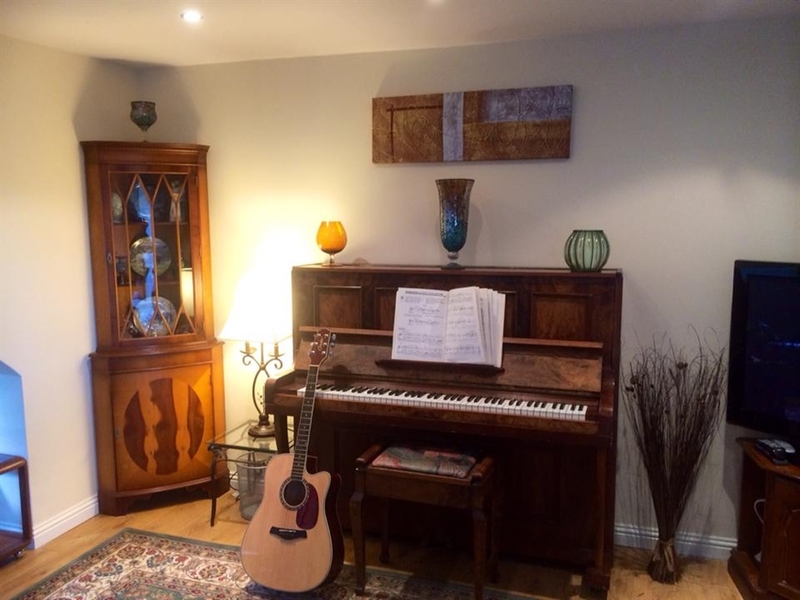 Other side has a comfortable leather suite , piano and guitar for the musically gifted , HD TV with freesat , DVD , video collection and assortment of books and games .French doors lead out onto patio BBQ area and garden. 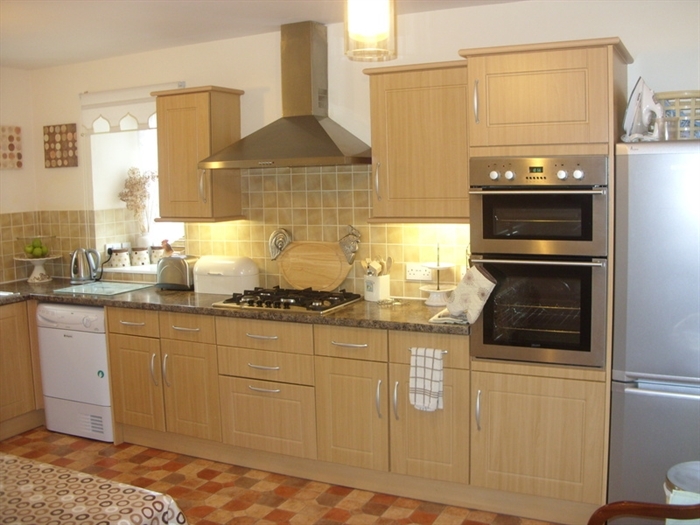 Fresh country dining kitchen -Dining table and fitted kitchen with fridge-freezer,double elctric fan oven ,extractor fan hood, gas hob,washing machine, tumbler dryer, dishwasher, microwave ,toaster , kettle , mixers , iron and board etc along with all cutlery , towels , plates, pots and pans you will need . Modern family bathroom on ground floor consists of bath , toilet, sink and separate shower cubicle . 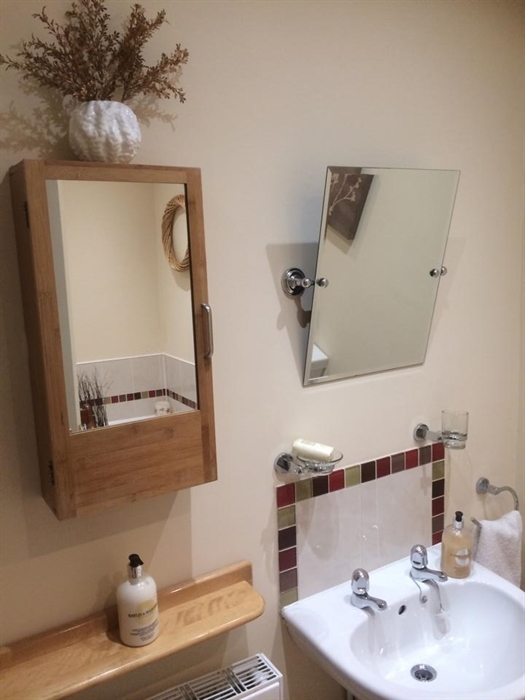 Hand and bath towels are provided for each guest along with complimentary soap in the bathroom. 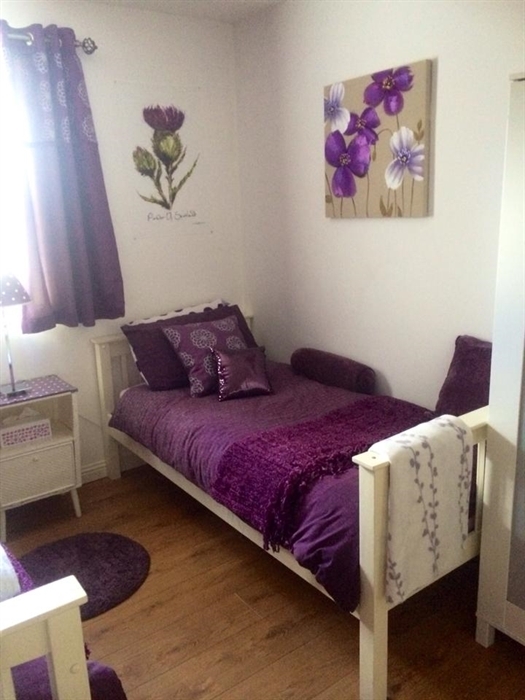 Twin bedroom has two single memory foam beds , dressing table , chairs and wardrobe as well as hairdryer . Stairs lead up to the master galleried triple bedroom .Sumptous 6ft superking zip link bed which can be divided into 2 singles upon request before arrival.Large sliding mirrored wardrobe , dressing table , chair , single day bed .Juliette balcony french doors offering a wonderful countyside view to wake up to looking over the garden towards Largo Law hill and beyond . 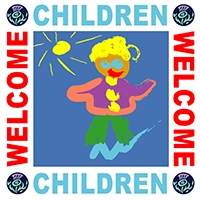 Large self enclosed garden with ample parking .Acess to field for recreation - practise your golf swing or kick a football around with the children . Ample welcome basket supplied with store cupboard ingredients also. 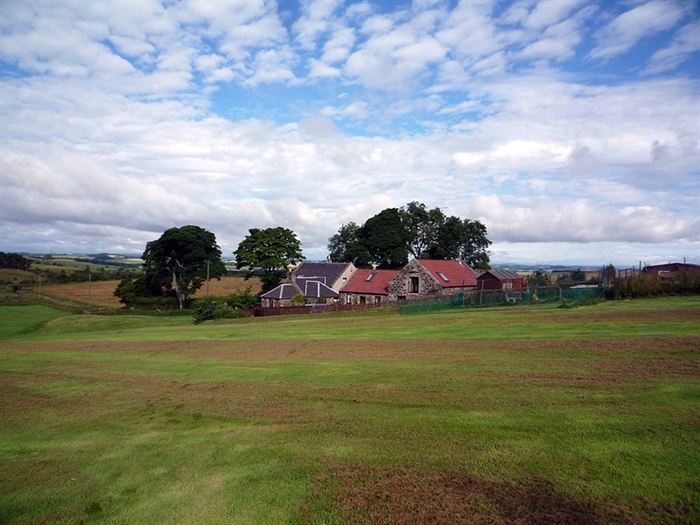 Situated just 2 miles from the beautiful historic village of Ceres which holds the oldest Highland games and has many attractions including the Fife Folk museum , Wemmys Pottery and fantastic pub and village tearoom and craft shops.Local Hill of Tarvit mansion house has a restored Hickory golf course. 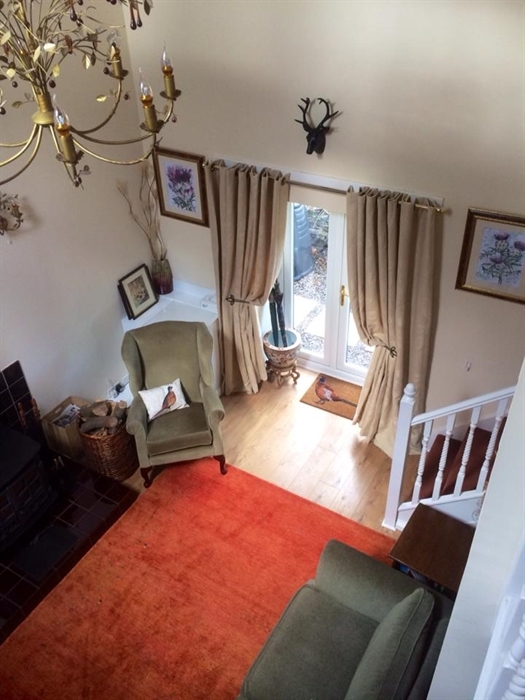 7 miles to St. Andrews with beautiful beaches , a wide variety of restaurants , visitor attractions and of course golf!! 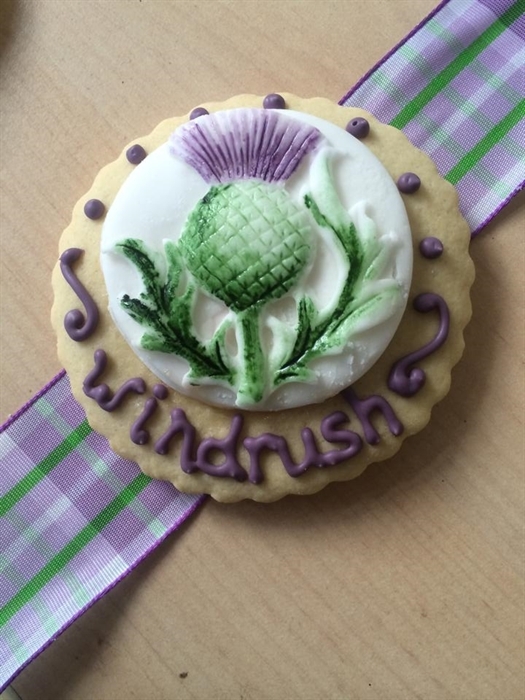 Windrush Holiday Cottage is an ideal central base from which to explore not only Fife's delightful towns and coastlines but is within a 25 minute drive to Dundee and Perth and a hop over the Forth bridge to Edinburgh takes a mere 45 minutes. Explore the coastline of hundreds of miles of cycle and walking paths taking in the pretty harbour villages of Elie, Pittenween , Anstruther and Crail and beaches.